Fast colour recycled printers, online recycled stationery print prices for full colour leaflets, letterheads, cards etc printed and delivered to Wales at very competitive prices. Fast online full colour recycled stationery, card and leaflet printers of recycled stationery and leaflets at low printing prices. We supply recycled leaflets throughout the United Kingdom. 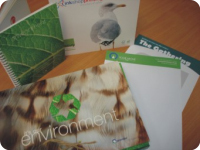 All recycled leaflet printing prices include delivery. Recycled leaflet and flyer online printing including fast next day delivery to Wales. Free leaflet artwork proofing and client area.